PDF files are awesome because they're easy to share and they prevent the format on your document from being messed up, no matter what system or program it's opened in. Their biggest downside, though, is how difficult they are to edit or change once they're made. 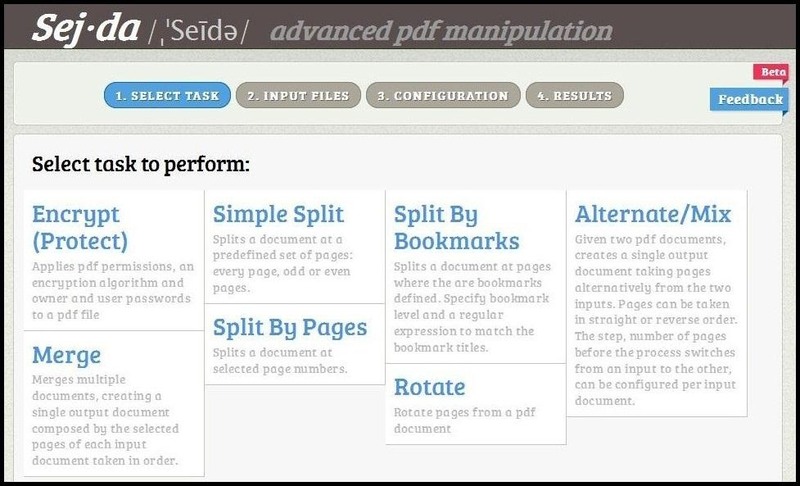 Sejda is a free online tool (currently in beta mode) that lets you manipulate PDF files right from your browser without registering or downloading any software. 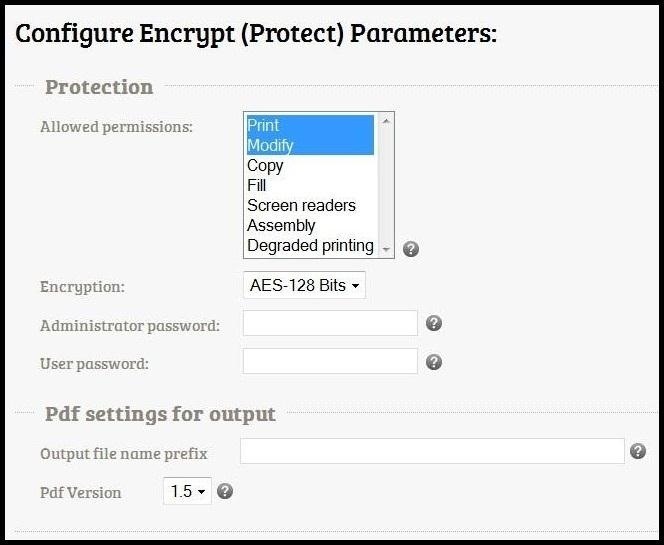 You can encrypt or split a PDF, merge two together, or rotate pages within a file. Under the Configuration tab, you can even choose which version you want the new PDF file to be. Since you don't have to sign up for an account and there's no clear statement on whether or not the site keeps a copy of the files, I wouldn't suggest using this for anything super sensitive. Otherwise, if you're not using it for anything you want to keep private, it has some great features and it's really convenient. Check out Sejda's website to try it out and find out what new features they're working on. If Sejda is not your style, there is also a new site called PDFzen, which is free and mobile-friendly.